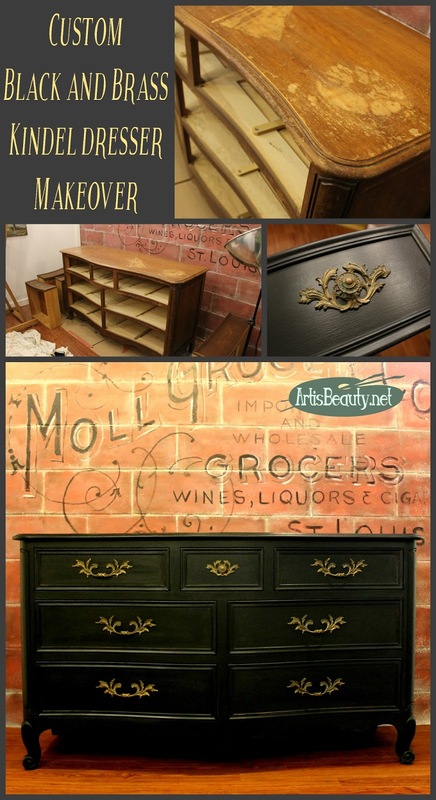 This latest makeover is a project that I forgot to ever post about. This was a custom job I did for a friend who had given me a bunch of furniture. In return I offered to paint one of her pieces from her Grandma for her. 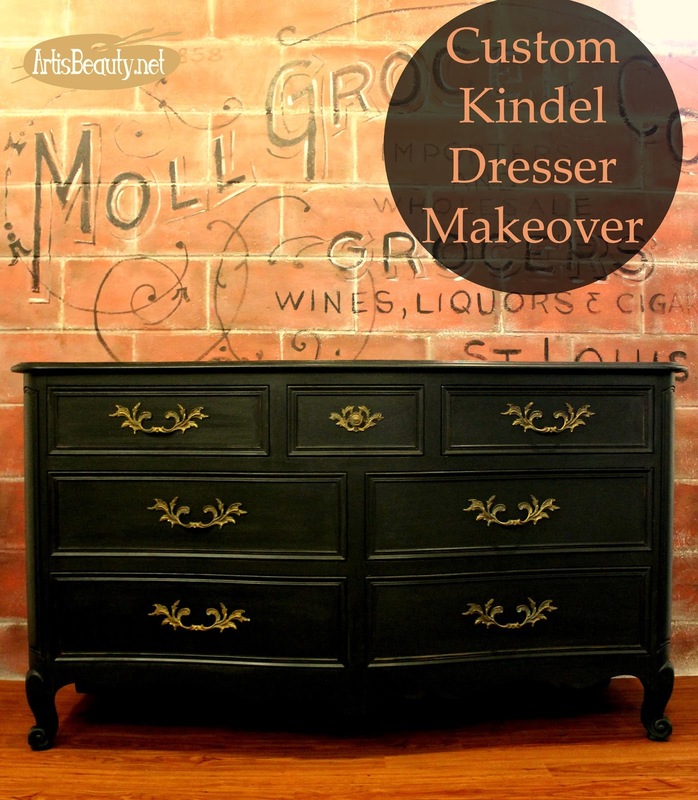 She had this old Beautiful Kindel dresser that had seen better days. while still keeping her memories of her Grandma. So I custom mixed up a graphite color. In order to keep some of the memories, I decided to clean up the old original brass hardware and leave a little bit of patina on it. I loved how the graphite black really made the vintage style brass pulls POP! To finish off the dresser I used a satin finish Poly. 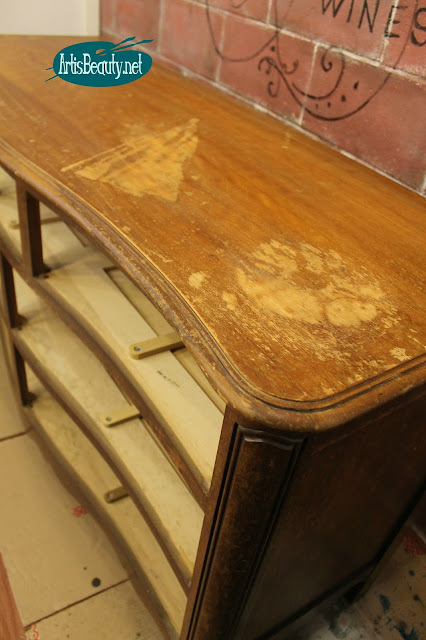 It keep the sleek feel that went along with the style of the dresser. I had to admit, that at this point...I wanted to keep the dresser for myself! 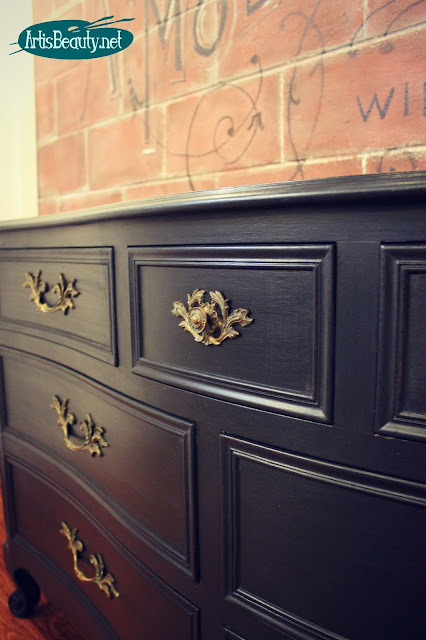 I am not normally a black furniture kind of person...Its just not my style..
but man oh man..was I in love with this dresser. It all went together so perfectly. It is now in its proper home...Hopefully being loved and stirring up lots of old memories of Grandma! Labels: custom color, diy, diy furniture makeover, furniture makeover, kindel, painted furniture, project.